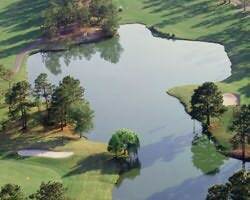 golf vacation packages | GolfTrip.com - Golf Tips, Vacations, Packages, Destinations and more! As golfers enter the Ocean Ridge Golf – Tiger’s Eye course, scenic views of natural vegetation and waste land await to greet them warmly. This is a perfect destination spot for those who wanted to take a break on their boring and tiring daily routines and unwind. Make every golf trip count by stepping foot in this breath-taking golf course and let the adrenaline rush through your veins as you make your best shots. This resort is carved from pine and hardwood forest making it possible for the famous architect Tim Cate to blend modern design to the traditional ambiance of the area. Ranked among the Top 100 Public Courses in America for 2007 and 2008, the Ocean Ridge Golf – Tiger’s Eye course live up to Golf Digest’s expectations. A stunning combination of native grasses, waste land, wildflowers, water hazards, white sand bunkers, pine, and oak trees make this golf vacation destination the top of every golfer’s list to visit. Precision shot-making skills are required for golfers to get through different hazards and dog legs making every round an unforgettable one. A pro house, practice facility, driving range, rental club and carts, as well as famous restaurants and snack bars allow for maximum convenience towards the visitors. With six sets of tees, the Ocean Ridge Golf – Tiger’s Eye allows players of different skill levels play their rounds just the way they want it to be. Savory meals are being served on the restaurant daily to help reward golfers even more after their game. 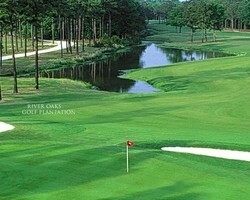 Different golf vacation packages also make staying at hotels more affordable to clients. Some packages include discounts to pro shop and other services being offered. Described as the finest work of Willard Byrd, the Ocean Ridge Golf – Lion’s Paw course presents breath-taking views as players enter the paradise. When players approach individual holes, they begin to experience an amazing golf trip in which they will cherish for the years to come. Built in 1990 and opened in 1991, this course has an open guest policy and year round golf season in order to serve local and international clients well. 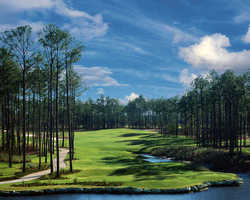 This 18-hole championship public course features 7,003 yards of golf with par 72 layout. 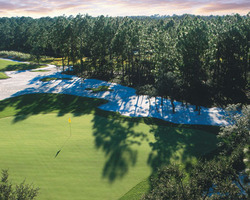 From the four sets of tees, players of different skill levels can surely enjoy their rounds. 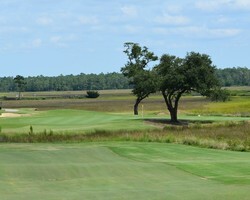 With a course rating of 74.7 and slope rating of 130, the Ocean Ridge Golf – Lion’s Paw course is open and hilly leading to a beautiful creek valley and wetlands. Deep sugar white sand bunkers await players as they make their way through their rounds. Bent grass greens as well as various water hazards perfectly complement each other giving this golf vacation destination a traditional feel closer to nature. The Safari themed clubhouse harbors full service pro shop, restaurant, and lounge, as well as snack bar and elegant dining rooms which serve breakfast, lunch, and dinner. The Ocean Ridge Golf – Lion’s Paw resort accepts credit cards for visitors’ convenience which include VISA, MasterCard, Amex, and Discover. 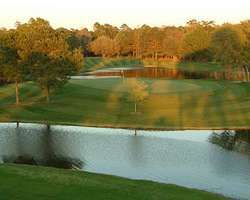 Golf Digest ranked this course in Top 50 in Myrtle Beach while its golf shop is rated in Top 100 Best Golf Shops in America. 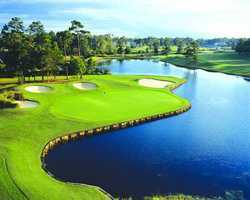 Lastly, different golf vacation packages are also being rendered by the resort to help guests save a little during their vacations.